Cai Lei’s sculptures, recreating objects or human figures, are characterised by theirastonishing hyper-realism. His works are infused with emotion and poetry, striking abalance between seeming fragile and inanimate. Through the tranquil and flat greenwater in a bathtub filled with baptised branches, the artist aims to convey absurdity and hope. 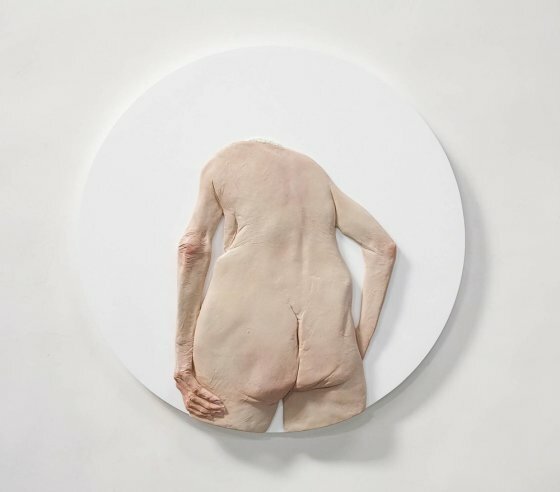 Through depicting androgynous, yet gendered, slender young bodies encased inwhite boxes reminiscent of a sarcophagus or a shocking skeletal figure of an elderly manlying on a hospital or autopsy like table, his works stir an emotional response from theviewer, causing a feeling of ambiguity or slight discomfort, to fear and dismay in itsaudiences. The eccentric beauty of his installations cannot be dissociated from the brutalsplendour of reality. 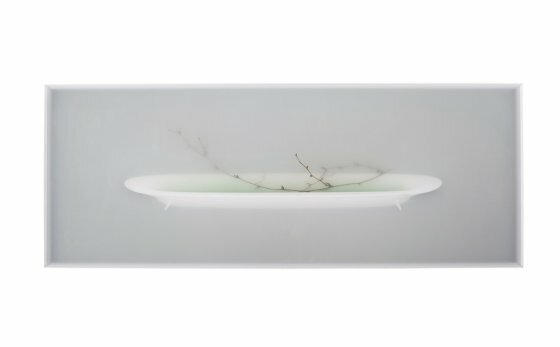 The artist’s intent is to provoke emotions and thus reflections on thefacts of existence often avoided, such as the passing of time and its consequences.In order for a piece to be as close as possible to the truth, Cai Lei is very attentive to hismaterials and their qualities.